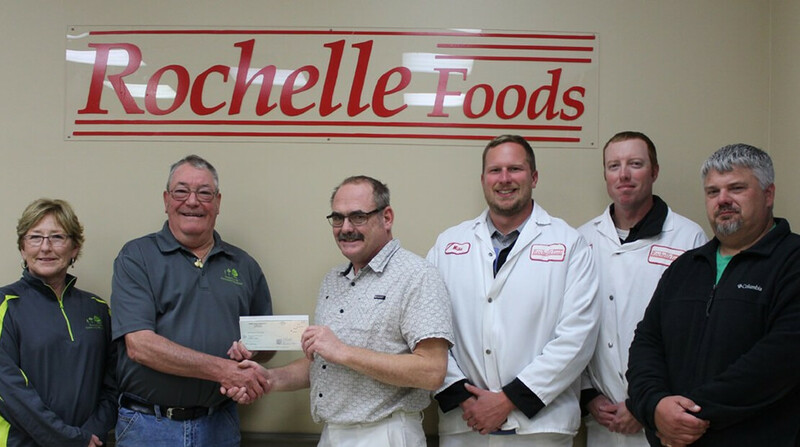 For the eighth consecutive year, Rochelle Foods presented a donation to the Rochelle Area Community Foundation. The donation of $10,000 is to help fight hunger in the community. The Rochelle manufacturing facility, owned by Hormel Foods Corporation, established an endowment fund in 2011. Employees of the facility also contribute to the Hunger Challenge Fund through payroll deductions. In 2017, two non-profit organizations, whose focus is on feeding the hungry, received grants from the endowment fund, issued by the RACF. Just last year Hormel Foods donated $300,000 to local hunger relief organizations in 30 communities across the U.S., bringing the total to over $2 million in total program contributions so far.